Understandably, some people will only focus on certain areas of what the Fed does – whether that’s looking after an offer who is subject to a complaint, or fighting for a better pay rise - but it is far broader than that and it’s about the small things. The big wins for members happen at a local level, and they happen every day – whether that’s an officer being unable to get their annual leave and a local Fed rep negotiating a result for them, or an officer who is represented and supported through an employment tribunal or a misconduct hearing and the Fed are there in the thick of it, representing officers in these difficult situations. That’s the strength of the Federation. But it’s also about the small things we don’t celebrate enough, such as highlighting the pressures colleagues are under and ensuring we are involved in national decisions and policy making. Certainly a number of things are now better because of the Federation’s involvement. 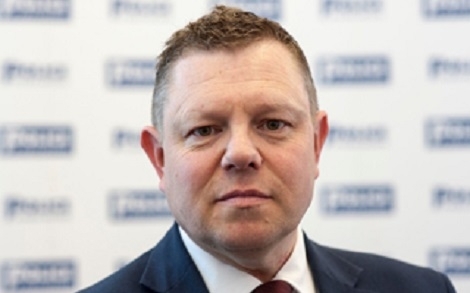 Members won’t always see and feel that and some of them can be quite dismissive, I understand this view – but if we weren’t there fighting, some officers would not have Taser, better officer safety training, improved body armour and access to spit guards. That’s what we are campaigning for and in some cases legally challenging – I genuinely believe we make a positive difference for those we represent, if I didn’t believe that I wouldn’t do what I do. Last week we published our Demand, Capacity and Welfare report to highlight just how difficult the job is - this gives us the ammunition and evidence we need to fight locally and nationally to improve the service and the benefits our members receive. But it’s not easy – we are pushing really hard against the government who have shown nothing but contempt for policing and we are struggling to get our message heard. What is clear is that the concerns we highlighted in the wake of the cuts a few years back have come to reality. We are a credible voice and we should be listened to. Is the Federation working hard for its members? Absolutely it is. And is it making a difference? Yes it is, but I accept we don’t always get it right. Over the past few years because of the independent review we’ve taken our eye off the really important ball in terms of listening to what members want and we’ve got to refocus. We can’t grant them everything they want – but we can listen to members and explain ourselves much better. We are here for them, we are not here for ourselves and we’ve got to keep reminding members that. People say to me all the time that crime is changing, and I think the same applies to how we represent our members and it has had to. We are dealing with far more officers going through mental health crises now, far more issues with financial vulnerability and we’ve had to adapt the way that we offer representation. We now have the Welfare Support Programme – a brilliant jewel in our crown – but I want it to be even better and that costs money, so we’ve got to invest in that if we want to continue to give the very best service to those who are in a crisis. We’ve also started the Did You Know campaign to make it easier for members to understand Regulations and make them aware of what they are entitled to, because they are complex and difficult to interpret. This year we celebrate the centenary of the Federation and we have evolved so much – we are a better organisation than we were last year and we’re a damn sight better than we were 50 years ago. Last year our Protect the Protectors campaign helped see the Assaults on Emergency Service Workers Bill become enshrined in law. Our critics will say it didn’t go far enough, but actually I would say we’ve achieved something very few have before us. We’ve got cross party support and this is just the start. Without a shadow of a doubt, the violence against our colleagues is being talked about more than ever before, the Federation has been at the heart of those messages and this is something we should be proud of. We have ensured that the reality of policing is in the headlines, being talked about and not being hidden away. Off the back of that, and because of our lobbying we have more Tasers being rolled out to officers, but I want the government to acknowledge in the comprehensive spending review that they must be funded centrally so forces aren’t having to keep funding this essential equipment out of their budgets. Spit guards have also been introduced by a majority of forces and we are working alongside the College to provide better health and safety training. The new driving legislation is not there yet, but it will be, protecting our colleagues and further proving to politicians the pressure our officers are under more than anybody else. Nothing ever changes and no two days are the same. There are always challenges and difficulties – but there’s also brilliant stuff going on every single day. I get emails all the time from officers who are overwhelmed by the level of support they’ve had from their Federation and I think sometimes those voices are lost and you just hear the critics – and we must never ignore the critics – but we’ve also got to listen to those who are there supporting us. The Police Federation has been through so much over its 100 years, considering many believe it was set up to fail it’s not done too bad! I am proud to be the national chairman of this organisation, working with dedicated reps who make a difference every day. Those we represent deserve to have their voice heard by politicians, the media and the public, I will do that at every opportunity I get.